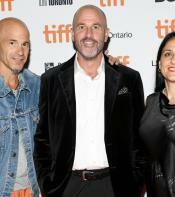 The red carpet premiere for A Million Little Pieces took place on Monday night (September 10) at the Ryerson Theatre. 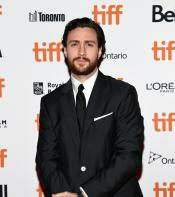 Sam Taylor-Johnson and Aaron Taylor-Johnson added star power to the red carpet. The husband and wife reunited on the film nine years after the 2009 film Nowhere Boy. Supporting his Fifty Shades of Grey director was Jamie Dornan, who surprised the delighted fans on the red carpet. Also in attendance were Odessa Young, author James Frey and producers Brad Weston and Pamela Abdy. Based on a novel by James Frey, A Million Little Pieces is directed by Sam Taylor-Johnson and co-written by Sam and Aaron. Aaron also stars in the film alongside Billy Bob Thornton, Charlie Hunnam and Odessa Young. All photos courtesy WireImage Getty for TIFF.